Verden. October is always time for celebration at the Hannoveraner Verband: the 132nd Elite Auction will be held with a huge Gala Evening Show on October 9 and 10, 2015. And the best stallion prospects of the Hanoverian breed travel to Verden two weeks later to be awarded the popular licensing award. The Gala Evening Show on October 9 will introduce this special event series – the Organizing Committee has already engaged some amazing artists. Presale of tickets has already started. Latest since the celebrated CVIO in June it is meanwhile common knowledge that the Riders’ Town of Verden has also been developing into a vaulting city. 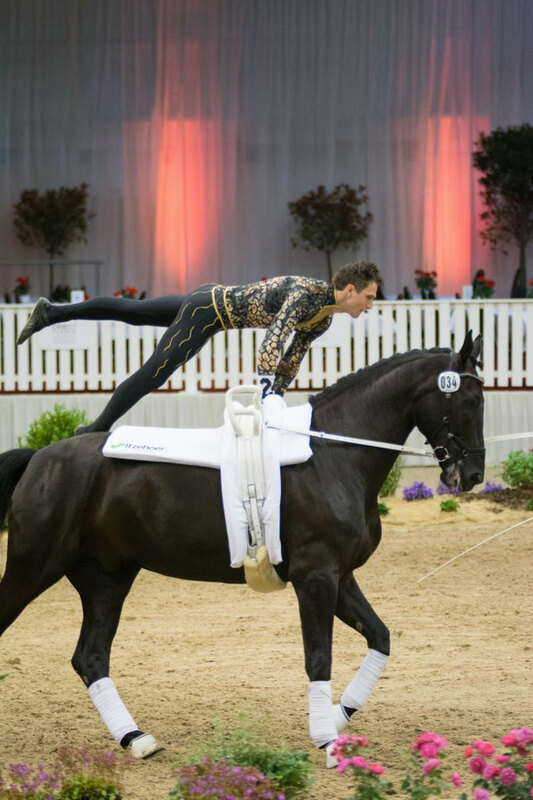 The three vaulting stars from Garbsen, Viktor, Thomas and Jannick Brüsewitz, have already agreed to attend the Show Evening a couple of weeks ago. Viktor and Thomas recently presented their skills at the CVIO where they finished first and third in the men’s division to be finally nominated for the European Championships in Aachen. The trio already has captivated the audience in the Niedersachsenhalle many times before. 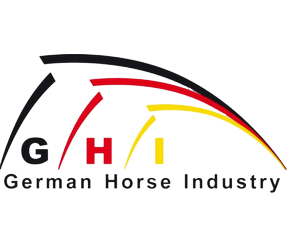 And there is one other vaulting squad, occupying a top position among international competitors: the squad from Neuss-Grimlinghausen with their Hanoverian mare Delia FRH. The current World Champion won the team evaluation at the CVIO in a relaxed and composed manner – more than two million people already saw their freestyle presentation in the Verden arena at clipmyhorse.tv. 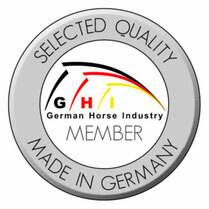 Delia FRH is the first Hanoverian vaulting horse to be awarded the favoured name supplement FRH. The squad Neuss-Grimlinghausen will return to Verden in October and present their impressive freestyle one more time to the audience in the Niedersachsenhalle. Apart from the vaulting athletes, Alizée Froment from France is expected to come to Verden. The internationally successful Grand Prix-rider has already delighted thousands of guests all around the globe with her sensitive riding style. She will present one Grand Prix with neck strap and fine aids only. 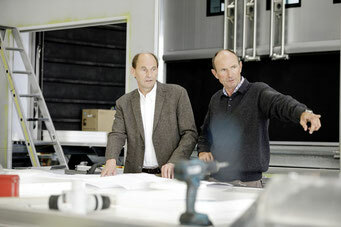 The Celle National State Stud has of course also announced to come. Each time the impressive stallions and their riders in the historic uniforms enter the Niedersachsenhalle, there is a special atmosphere in the air.